There are already tons of online shopping websites available today for almost everything you need. No doubt, online shopping has been a huge hit for this fast-paced world where everything is preferred done at your fingertips. Even brands that are physically available at your favorite shopping malls also offer online shopping services as a strategy to attract more customers. Cos of course, the more customer, the better. Having said that, let me share the brand, zanstyle at stylebest, a clothing brand that offers a wide array of clothing styles for your needs. Let’s proceed to my top 3 picks! Women Boyfriend Ripped Ankle Jeans – Sure enough, this jeans is perfect for your lazy day outfit look. You can pull this off while wearing your dirty sneakers (talk about joining the dirty shoe trend) or even your favorite heels! Yes, not even kidding. You’ll equally look fab, either way, believe me. Stripe A-line Dress Who else love to wear a dress when you’re simply not in the mood to mix and match pieces of clothes? You’re not alone. There are days I feel that way too. My solution? Wear a dress instead! I like this particular dress because of the button down detail. Plus, my wardrobe is mostly consist of the greys. It won’t hurt to add another grey, will it? Again, all these pieces are available through zanstyle at stylebest. Feel free to browse their pages and check out items in discounted price. They are offering great deals at the moment and will run until August 21st! 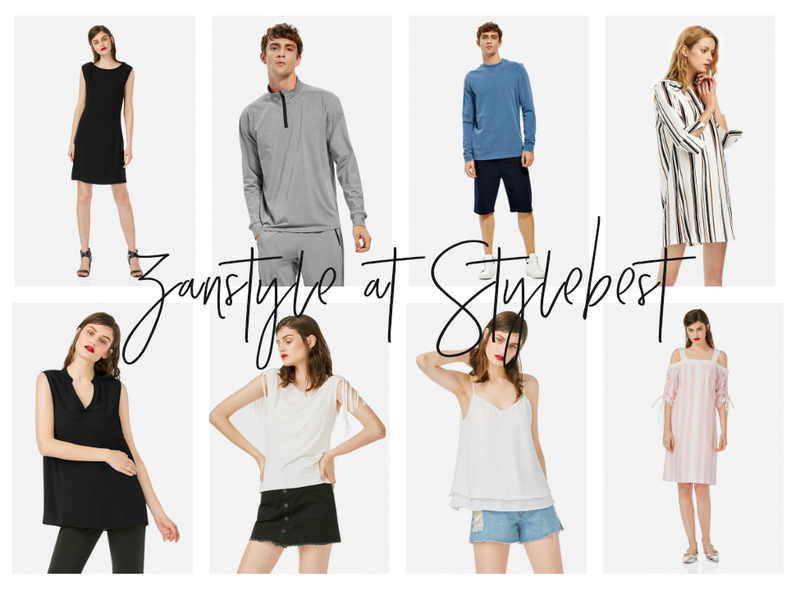 You better check out zanstyle at stylebest before it’s over. 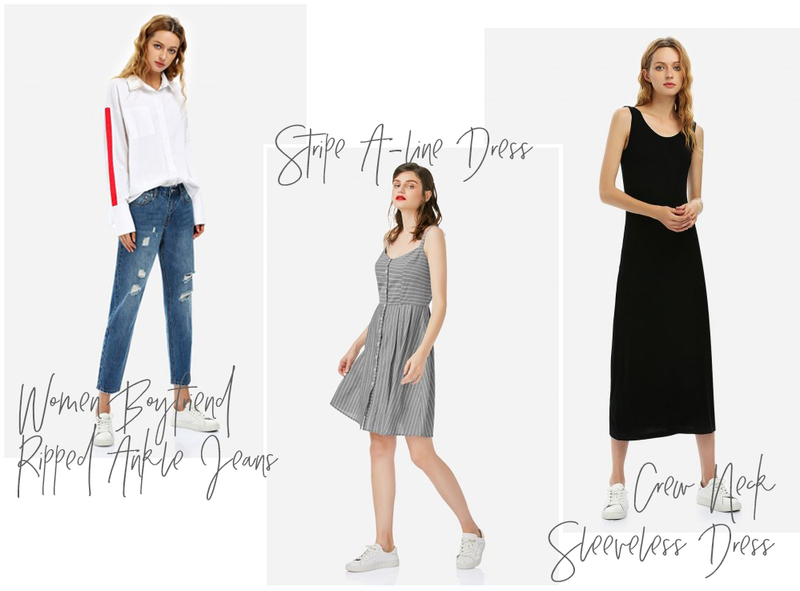 What’s your go-to outfit? I’d like to know!